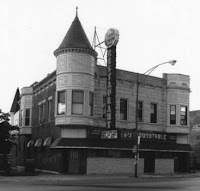 New Restaurant in Andersonville Reviewed by Edgeville Buzz on August 14, 2010 . The beloved seafood joint formerly known as Pier 5736 is moving to a new ‘hood, changing its name to Kingfisher and doubling its seating capacity to more than 100 come late September. Though the space at this Andersonville location is all new (and nicely situated so that you can grab a seat near French doors opening out onto Clark Street) fresh seafood will remain the focus. Expect the same nightly fresh-caught specials that made the original spot so popular, along with standby appetizers such as shrimp bisque and lobster medallions and entrees ranging from sauteed rainbow trout to tequila lime shrimp. For land lubbers, there’s a wider selection of pork chops, steaks, and chicken, as well as pastas and vegetarian entrees. For dessert, try house favorites such as the chocolate mousse bomb or apple strudel.